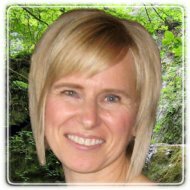 Karen is a counselling therapist with a Master of Arts degree in Counselling. Karen is a certified member of the Professional Association of Christian Counsellors and Psychotherapists. Karen has been a therapist at a women’s shelter for 13 years and has been in private practice for 10 years. Karen has had experience with all ages, issues and people groups. Karen is a sensitive, caring, compassionate person with a heart for hurting people. Her approach is client centered, as she listens to what the client is saying, identifies possible root issues, and then explores solutions together with the client to find one that fits for them. Karen has a unique combination of being both soft and gentle, while being bold and direct where invited. Karen enjoys the thrill of watching people blossom into the potential that each person has. Confidentiality, safety and respect are always critical components of her practice. Karen has dealt with almost every issue known to humankind, but has specialized training and experience in relationships, domestic violence, sexual abuse, childhood abuse, trauma, self-esteem, and separation & divorce. Day, evening and weekend appointments are readily available.